Siegel Suites Cambridge Apartments - Low Rates and Great Amenities! 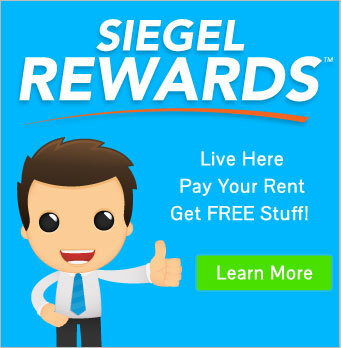 Rent at Siegel Suites Cambridge Apartments for a furnished or unfurnished apartment with a great central Las Vegas location, just off of Flamingo Road. Our low cost apartments are in easy walking distance to the famous Las Vegas Strip, with casinos, restaurants, clubs, shopping, golf and more. There are, also, many restaurants that are within walking distance. Some of these include India Masala Bar & Grill, Bagelmania, and Taco Bell. Also, we are near shopping at Target. Lastly, UNLV is only about 1 mile away. We rent large, fully furnished or unfurnished one bedroom apartments. All apartments are move in ready, full kitchens inside and a sparkling pool. Two other great features are the BBQ area outside and the fitness center! Rent your apartment today with no long term lease and your choice of low weekly or monthly payment options. Bad credit ok. Your low rent includes free utilities, free cable TV, and more. Get more details below. Then call us toll-free at 1-888-328-0192, locally at 702-904-9457. Also, you can email us to reserve your Las Vegas apartment at Siegel Suites Cambridge.